Instructors: Ken Kreshtool & Paula Wilson. See very complete 101+201 description below – scroll down! ​"Intensively Onward & Upward! For Intermediate And Pre-Advanced Dancers." A special 4-week offering for our upper-level Alumni. $100. We'll continue upward and onward with advanced Building Blocks (partnered-movement skills & techniques), and the many terrific patterns and stylings that they let us create effortlessly. Er, almost effortlessly. This class will include aesthetics and musicality skills for both Followers and Leaders, along with other new material that is different from our April-May class. • Students in this class may stay for Level 101+201 for FREE! FREE! INTRODUCTION TO WEST COAST SWING (WCS) - DANCE WEEK SPECIAL! A special free class just for NYC Dance Week! In this gently intensive 1-hour introduction to West Coast Swing (WCS) and to our magical teaching, we'll show you the easy way to become good at WCS. We will focus on the 5 primary partnered movement building blocks of WCS, and the very cool moves that they instantly create. Snap these together, and you can magically dance with all Beginner, Intermediate, and Advanced WCS dancers. You will actually be dancing good WCS. We won't be great at it, of course, but we'll be well on our way! We'll get as far as our hour allows. • Prerequisites: Ability to count to 6. No partner or dance experience needed. Really. We'll show you everything you need to know. Class size strictly limited. • Clothing & shoes: CLOTHING: Wear anything that is comfortable. Jeans, slacks, t-shirts are fine. • GENDER NOTE: Our classes are non-gender biased. Dance whatever role(s) you like. We'll probably all try both roles at a few points, as part of learning faster and better. This is that deep go-through and polishing that several folks have asked for. If you are new to our teaching — WELCOME! — this is all of the "technique" stuff that makes all of WCS's coolest patterns work on the actual dance floor with every partner, and makes you twice as advanced. And all presented in a way that makes it pleasant, sensible, and easy to master and remember. Open to all with WCS experience. Prerequisite: Workshop Part 1 or Ken & Paula's 201+301 class. No exceptions. Thanks. We'll tackle some wicked fancy moves, showing how applying simple easy technique skills and principles from Workshop Part 1 makes all of WCS easy. Well, easier. We'll also explore two major ways of dealing with nearly everything. And we'll note where WCS's historical roots pull us away from WCS's "dance logic" and what to do about that. 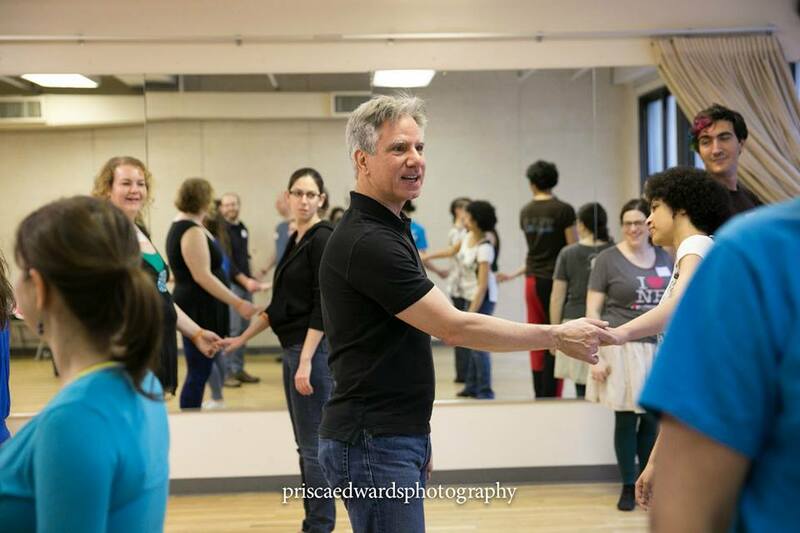 In both workshops, there will be hands-on coaching and dance practice time, not just skimming and forgetting. Price: $48 per workshop per person. $85 for both workshops. AFTER JULY 23, we are on break for the rest of July & August. For Absolute Beginner through Intermediate(+). Also recommended for people who have other partner-dance experience and want to learn WCS really fast, without having to plow through a standard WCS Beginner class. We will learn and rapidly improve our WCS by focusing on how really good WCS dancers actually dance. Is there a secret that makes WCS easy, and makes WCS's huge vocabulary of amazing moves and patterns easy to learn? Yes! We will focus on the 6 primary and 4 secondary partnered-movement building blocks of WCS. Snap these together, and we can magically dance all Basic, Intermediate, and Advanced WCS moves & patterns with the same ease as Advanced dancers. ​Our teaching is quite different from conventional WCS feet- and pattern-based classes, and therefore offers an excellent acceleration for all WCS dancers. • ​Start at 3rd lesson? No, sorry. We cover so much ground in the first two lessons, that we have never had anyone successfully start during lesson 3. So we ask you to wait until our next class series starts.